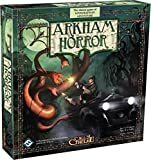 Arkham Horror is a cooperative adventure and horror board game. 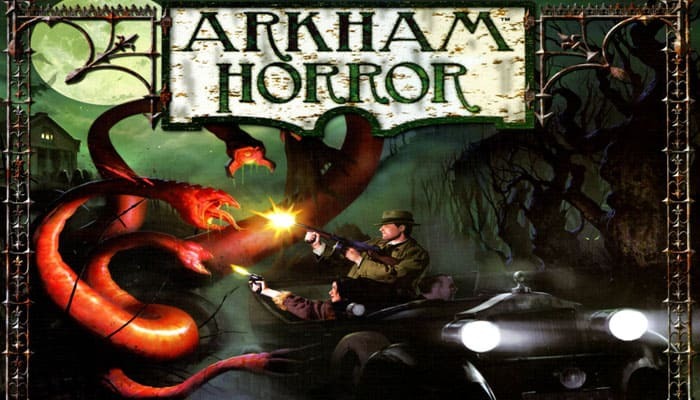 The game is set in the fictional town of Arkham, Massachusetts, made famous by H.P. Lovecraft in his writings about the Cthulhu Mythos. 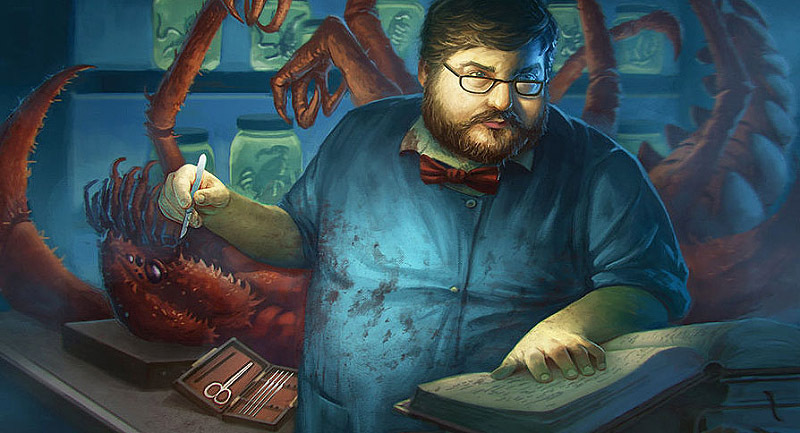 Players take the role of investigators exploring the city, encountering places, people, and creatures both normal and mundane. 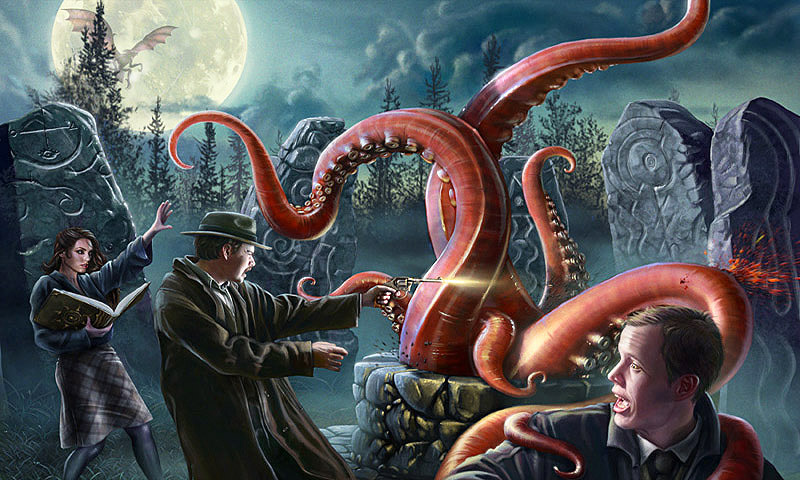 Through these adventures, the investigators hope to gain the clues and resources needed to confront and ultimately thwart the Mythos threat. 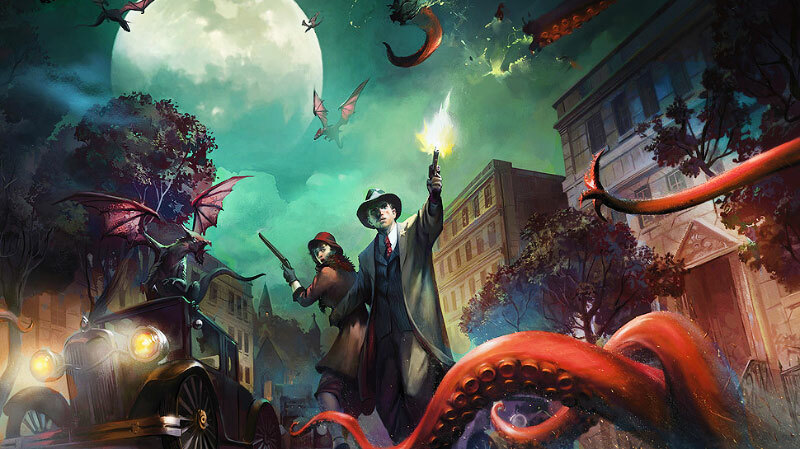 Early in the game, investigators seek to avoid more powerful monsters while moving around the city to gather weapons, spells, clues, and other items they will need. Later, the investigators attempt to close a few gates and seal some of the most active gates. Finally, once several gates have been sealed and the investigators have acquired valuable weapons, spells, clues, and allies, they make one last, desperate assault on the Mythos, attempting to close or seal the final gates. The terror track shows the current terror level in Arkham - the current mental state of the city's inhabitants. Various things can raise the terror level, such as too many monsters entering the Outskirts or the effects of some Mythos cards. The terror level can never go down, so players should be very cautious about allowing it to increase. 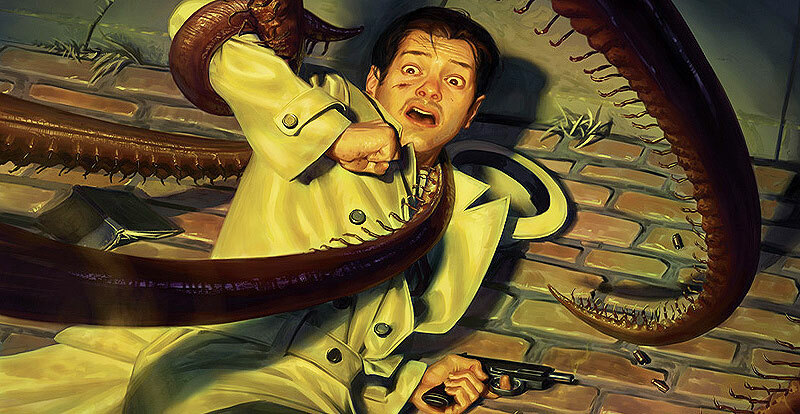 No matter how valiantly the investigators struggle, they are facing incredible odds. Despite their best efforts, the Ancient One may awaken and enter Arkham. If this comes to pass, the only thing the investigators can do is try to drive it back using the weapons and magic they've accumulated throughout the game. There are five conditions under which the Ancient One may awaken.